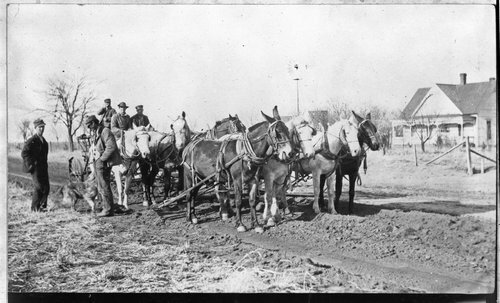 According to notes on the back of this photograph, it is of "Wilcox working roads with team of horses." There are five men and a dog with a house in the background and a windmill. Farmers were responsible for the upkeep of the roads on their property.